Did you know that every child – and every adult – has a ‘Story of Me’ wired into their brain? In fact, psychologists believe that the ‘Story of Me’ is completely ‘written’ into the brain by the time we are eight years old! The question then becomes, what is your child’s ‘Story of Me?’ Is it one that will serve him or her well in life? And, what is your personal story of me as their Mom or Dad? It is important to know this because very often, quite unconsciously, our own personal story has a major effect on our children’s’ story of themselves. What exactly is a story of me? It is the collection of everything that we heard others say about us from the time we were born – all the beliefs we formed about ourselves, all our thoughts and feelings and everything that we experienced, contained in a single, ‘This is Me story. Our ‘Story of Me’ becomes our script that we take into life with us and dictates how we respond to others, to events and life. Think of an apple. It has a core running through its center. If the core is strong and healthy, the apply is firm and juicy and delicious. If the core is not healthy, the apple around the core is not good. 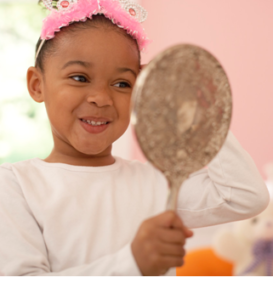 Children have a core belief about themselves as part of their ‘Story of Me’, running through the center of their being. There are 2 types of core beliefs. There is exciting good news for parents whose children grapple with a ‘Story of Me’ that is causing low self-esteem. There has been amazing brain research which shows that we can actually rewire this story. What this means is that parents and teachers can start a new neural pathway in the child’s brain with an ‘I’M SO Enough’ story of me. 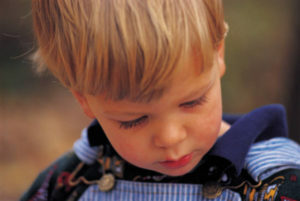 To become aware that it is neurologically possible for your child to change his or her core belief. To know that YOU are the only person that can make this happen. Spend some time reflecting on your own ‘story.’ This step is very important because you may find that your story is becoming your child’s story. I would recommend that you write your story on a piece of paper simply using these three headings below. Be sure to write as much as possible under each heading. – How is this influencing my responses to my family? – How is this affecting my parenting skills? – Is my “Story of Me’ the kind of story I would like my children to have too – or not? Let yourself reflect on what story each of your children has already wired into their brain or are in the process of wiring. Use the same headings as you did in Step 1. Then explore how similar (or identical or different ) their stories are to yours. The steps outlined above are extremely powerful. Going through these steps will probably bring so many insights for you to think about. It may make you smile or cry. But I would highly recommend that as the Nike ad says: Just Do It! I can tell you that it will transform your life, your children’s lives and the well-being of your family. If you do try out the exercise given above, I would love to hear your thoughts about it! Do share your experiences in the comment section below.